With its face balanced head design the Odyssey White Hot Pro 2.0 Rossie will give you increased face stability through the swing and at impact and will therefore help produce a more consistent stroke. Odyssey have tweaked the famous White Hot insert to sound and feel better as well as reduce the skip and jump that the ball to increase your distance and accuracy control. 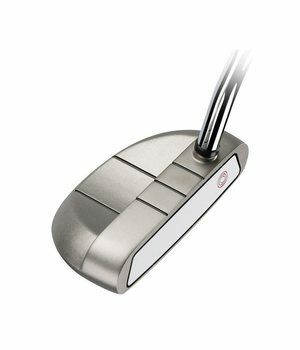 The White Hot insert on the Rossie 2.0 has been laser milled to get it as close to the steel body as possible to increase the stability of the head on off centre putts. Odyssey have finished of the tour inspire putter with a soft tacky putter grip that will allow you the best possible feedback through your hands at impact.